An engaging contribution to the increasing body of knowledge about gender and organizations, Gender, Culture and Organizational Change examines gender-based inequality in organizations and considers how sexual and social relations between women and men based on sexuality, power and control determine the cultures, structures and practices of organization and the experiences of men and women working in them. 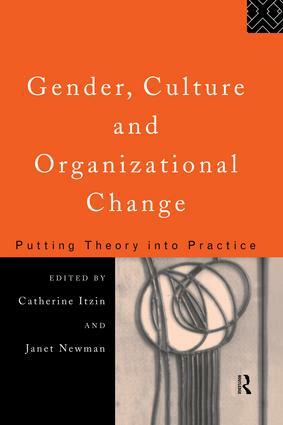 Gender, Culture and Organizational Change represents a decade of experience of managing change and implementing theory in public sector organizations during a period of major social, political and economic transition and analyses the progress that has been made. It expands to make wider connections with women and trade unions in Europe and management development for women in the "developing" countries of Africa and Asia. It will be valuable reading for students in social policy, gender studies and sociology and for professionals with an interest in understanding the dynamics of the workplace.